Able young people from disadvantaged backgrounds lose out at every stage in our education system. By the age of five, the poorest children are already 19 months behind their richest peers in how ready they are for school. A new report published by the Sutton Trust has revealed that this gap is cumulative: those who are shown to be bright in national tests aged 11 are barely half as likely as their more advantaged classmates to get the A Levels they need to go to a good university. For this new report, called Subject to Background, my colleagues Kathy Sylva, Katalin Toth and I, drew on data from more than 3,000 young people – the majority in state schools – who have been tracked through school since the age of three for the longitudinal Effective Pre-School, Primary and Secondary Education project. 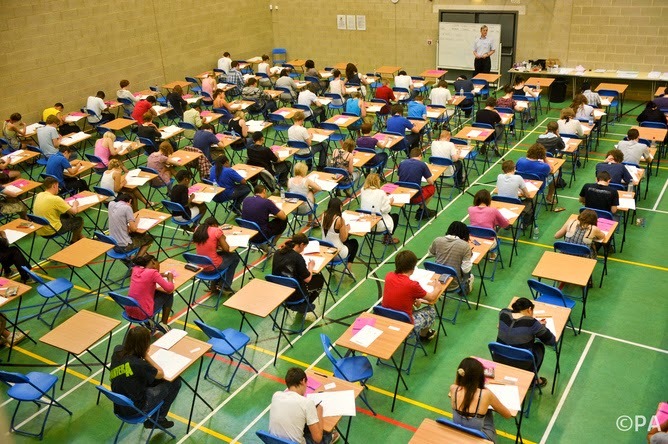 Out of this group only 33% of bright but disadvantaged students took one or more A Level exam in what the Russell Group of universities defines as “facilitating subjects” such as maths, English, the sciences, humanities or modern languages. This was compared with 58% of their more advantaged counterparts. “Bright” students were defined as those children who had obtained Level 5 – the standard expected for 14-year-olds – or above on any of the three “core” subjects, English, maths or science, in national assessments at the end of primary school in Year 6, aged 11. The disadvantaged measure was based on whether a student was eligible for free school meals and their families’ social and economic status – which was linked to parents’ occupations and salary. But we did identify a number of factors that significantly increased the chances bright but disadvantaged pupils have of gaining good AS and A Level results. Students’ attainment at A Level is generally higher if they went to pre-school – especially if it was a high-quality pre-school. They also achieved better grades aged 18 if they had a good home learning environment in the early years followed up by academic enrichment activities at home, such as going on trips to museums and galleries, and reading for pleasure. Unsurprisingly, academic achievement was increased if they had attended an academically effective primary school and a high-quality secondary school. Those who had positive relationships with teachers and regular feedback on their work and learning did better. Independent study matters too. When they get into the habit of doing daily homework in secondary school, students are significantly more likely to go on to get good GCSE results and also achieve three A Levels. More than anything, the stark differences in A Level attainment that we have identified between different groups of students of similar ability should be a warning that we need to do more to address the inadequacy of provisions for able children in many of our state schools. There is no one solution. A combination of good schools and pre-schools, the right home learning environment and supportive teachers ready to monitor progress and provide good feedback can all ensure that bright but disadvantaged students are more likely to gain the kind of A-level results needed to get the chance of a good university education. Enrichment vouchers, perhaps funded through the pupil premium, should be made available to encourage reading for pleasure, educational trips and out-of-school study for high attainers. Schools should also provide more opportunities for able students to undertake academic enrichment activities when they are not available at home. These could be provided through structured “gifted and talented” programmes, which could help monitor their progress more effectively. We should also ensure a strengthened careers service to encourage all students to make the best subject choices, particularly those that can help them get places at leading universities. Bright but disadvantaged students should also have more opportunities to go to the best schools – and all children, regardless of financial status, should have access to good-quality pre-school settings with qualified staff. Our research shows how learning experiences affect young people’s chances of academic success from the age of three to 18 and how education can help to ameliorate, but not remove, the adverse effects of disadvantage.